In general, fences should provide us with both visual and practical purposes. Even old fences can be improved and become a strong focal point of our house. 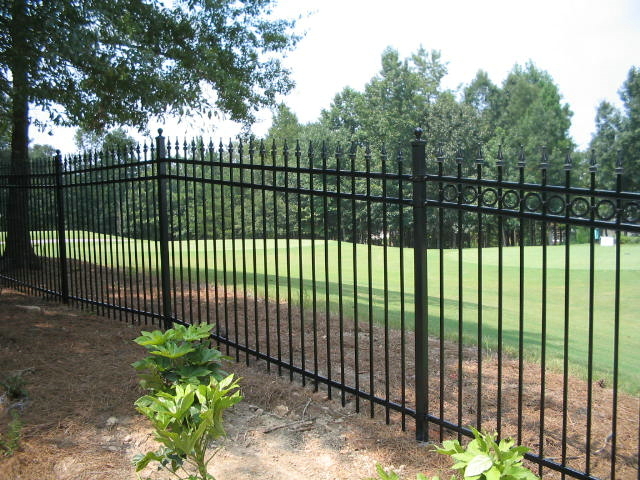 There are different fence options that we can choose. As an example, we may choose fences with modern installations that have standard geometric shapes. Materials used for fences constructions may vary widely. We should also consider the pros and cons of having the proper type of fences. We should consider personal preferences and overall budget. Wooden fences usually come in every size and shape imaginable. Lattice is another type of wooden fencing that we should consider. As an example, fences should provide us with proper structure for plants to climb. Light should also be allowed to go through and fences may also give us a great sense of privacy. We may choose pressure treated wood that could add some durability and extended longevity for fences. With such advantages, it should become quite clear why wooden fences can be popular. We may also find that wooden fences have lower initial costs, compared to metal and other types of material. Stone is also a type of fences materials that can be used for different purposes. Stone should be able to stand the test of time and exposure to elements would gradually add characters to it. We should make sure that fences could provide rustic feel to the garden, ornamental backdrops to flower gardens and more importantly sturdy barrier to block out strong winds and noise from nearby traffic. Blocks of stones that have proper shapes can be appropriately dry stacked and quite durable even with minimal amount of mortar. In general, not many types of materials that can provide a level of strength that is equal to stones. However, due to additional costs related to labor, transportations and processing, stones can be more expensive than processed woods or bricks. Metal materials made from aluminum, steel and iron could also be used as options for fences. Iron is the most common materials that can be used and it is usually more affordable than other types of metal. However, iron will need to be coated or painted with anti-rust solutions. Iron fences should also be regularly maintained and re-coated to prevent build-up of rust, especially in areas near beaches or heavy road traffic. Steel is a stronger version of iron and it could become aesthetically pleasing when designed properly with the right kinds of shapes. Chain link can be used as a decorative purpose and it should become a quite effective addition. This is especially true when we have specific budgetary concerns. Chain link is often used in construction or industrial sites. But it could have specific ornamental values, when painted properly. We could dip it in vinyl or other coating products. Plastic fences are also available and they can be shaped to look like stones or wood.